REGISTER BY MIDNIGHT (FEBRUARY 28, 2019) TO TAKE ADVANTAGE OF THE EARLY BIRD REGISTRATION FEE! DON'T DELAY. 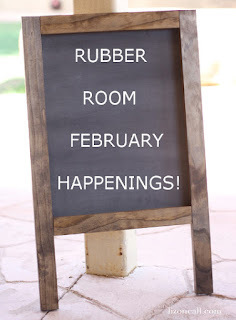 FEBRUARY 28TH, IS THE LAST DAY TO TAKE ADVANTAGE OF THE EARLY BIRD REGISTRATION FEE! 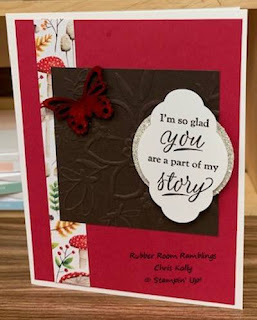 The last card from my Monday Create with Chris FB Live. Here are all the details for you. 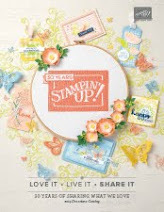 The Painted Season Bundle comes with this gorgeous stamp set and beautiful DSP. It is FREE during SAB with a minimum $100 purchase. If you NEED any SU! 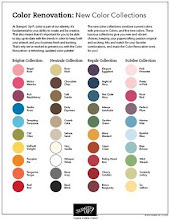 products, please contact me to place your order. 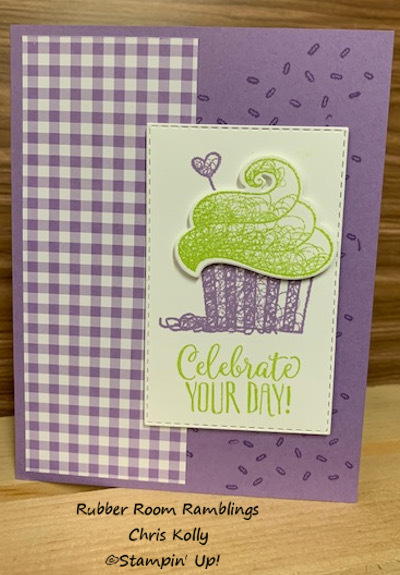 There are all sorts of things happening right now with SAB FREE products, two AWESOME joining specials AND the AMAZING Occasions Catalog.... lot of great opportunities to mix and match card stocks, stamp sets, designer series paper, framelits, etc... and save big dollars. This is the Part of my Life card I shared on Create with Chris last night. 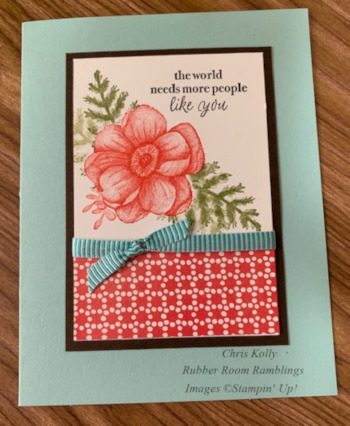 This card was inspired by Brandy Barnard, who shared it with us at Leadership in Lansing this year. As promised, here is the "recipe" for the Hello Cupcake card I made Monday during Create with Chris. Here is the link to Create with Chris Live from last night. 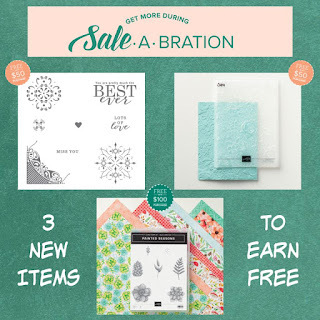 I share three really quick and easy, but adorable, cards made using Sale-a-Bration items. It's here~~yippee!! The second release of Sale-a-Bration products is now available! The Bundle is definitely my favorite, but that embossing folder; gorgeous!! 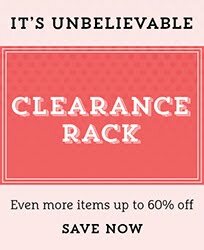 There are great new SAB items available on February 15th, and they are AMAZING and FREE with qualifying purchases. Early-Bird Pricing ends February 28, 2019. If you are a Stampin' Up! Demonstrator and want some awesome training, this is the place to be.